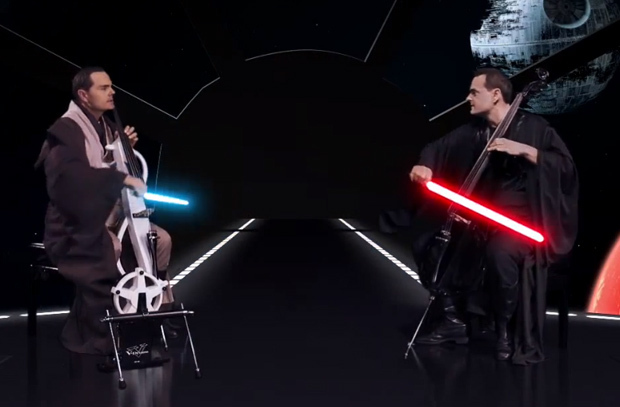 Cello Wars musical parody of "Star Wars"
(CBS) - This is so cool. A group of musicians calling themselves The Piano Guys released a video of two Jedi playing the theme from "Star Wars" on dueling cellos. "Why Star Wars Cello? Because of our unending admiration of George Lucas, John Williams, and the most EPIC movies and film score ever created," the guys stated on YouTube. It's a must-see video for fans of the space opera.